This evening is 30th April - Walpurgisnacht in Germany - when supposedly all the witches gather on the Brocken peak in the Harz mountains and celebrate their Sabbath with a Hexentanz (witches' dance). But how did this myth come about? Spring festivals of bright fires and lights, noise, and colour seem to have been celebrated wherever the folk who spread out of Africa tens of thousands of years ago settled. In ancient Mesopotamia, early Spring was marked by the festival of Akitu celebrating the victory of Marduk over Tiamat (let's say - simplistically - Good over Evil), when the barley planted in the Autumn was harvested and the fields were alight with fire as the stubble was burnt off. In India and SE Asia the ancient Hindu festival of Holi - the festival of colours - is to this day exuberantly celebrated with coloured dyes flung over everyone and with loud music, song and dance. In Celtic lands on the far west fringes of Europe, Beltane bonfires still light up the skies from Edinburgh to Cork, accompanied by the beat of the bodhrán and the wail of the bagpipes. And in Germany and Northern Europe there is the festival of Walpurgisnacht, a mirror image of Hallowe'en at the other half of the year, marked with wild dancing around bonfires and loud music to scare away the evil spirits and witches who have crept into the world over Winter. Of course there is also the Christian festival of Easter, and there is no space here to go into all the Middle-Eastern roots of that celebration. Suffice to note that around the Spring equinox homo sapiens living in the northern hemisphere have, from the dawn of time, marked the season when the days get longer as a time of rebirth and joy and a banishment of the misery of Winter ills. Along the way, various religions have appropriated and assimilated older traditions for themselves, thereby continuing and re-invigorating the traditions. Walpurgisnacht is the night before the Christian feast of St. Walpurgis on 1st May. St. Walpurgis (or Walpurga as we know her in Britain) was born into the Saxon nobility in Devon, England, in 710AD. She was destined to join the family business, as her father was St. Richard the Pilgrim, and her mother Winna just happened to be sister of St. Boniface. Walpurga's brothers were to become St. Willibald and St. Winibald. It was obvious from the start that she wasn't going to become an accountant. Uncle Boniface was not just a pretty face (! ); he was a fanatical evangelist who took it as his mission to convert the heathen Frankish Empire (proto-Germany) to Christianity, and co-opted his family into furthering his work. Walpurga was no blonde Saxon bimbo either; she had written her brother Winibald's biography and an account in Latin about his travels in Palestine. For this reason she is considered the first female author of both England and Germany. Anyhows, she ended up a nun and then abbess of the monastry of Heidenheim am Hahnenkamm in Bavaria, an institution founded by her brother Winibald. Uncle Boniface (born Winfrid) went on to become the first archbishop of Mainz and the patron saint of Germany. So after expending all that effort enlightening the pagan Germans it is somewhat ironic that the eve of her feast day is marked in Germany by people dressing up as witches and devils, lighting bonfires on hill-tops, drinking, performing riotous acts of anarchy, doing a whole lot of lewd dancing, and generally having a fun, hedonistic time of it. Pope Adrian II might have thought he was going to appropriate and Christianize a much-loved pagan Spring festival when he canonised St Walpurga in 870 and made May Day her feast day in the Christian calendar. But over a thousand years later, he was still to be proved over-ambitious. That's not to say that German (or Celtic, or British, or Scandanavian) May Day traditions have a continuous history back into the mists of time. Like most other so-called 'pagan' Spring festival rituals - such as May poles, May Queens, garlands, Morris dancing, the Padstow 'Obb Hoss, and lighting a bonfire on Arthur's Seat in Edinburgh - they were invented (or 're-discovered') during the Late Eighteenth and Nineteenth centuries when a Romantik fever swept Europe and the folk-lore of ye olden tymes was believed to be somehow authentic compared to the artificiality of the Scientific Enlightenment and the Industrial Revolution. 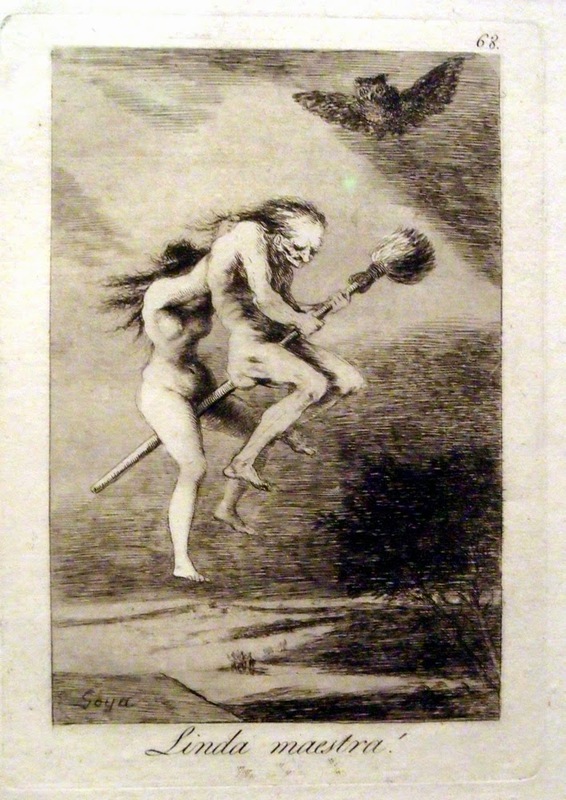 And so it is that the idea of Walpurgisnacht was imprinted on the German national imagination by the hand of the greatest Romantik author of his time, Johann Wolfgang von Goethe. 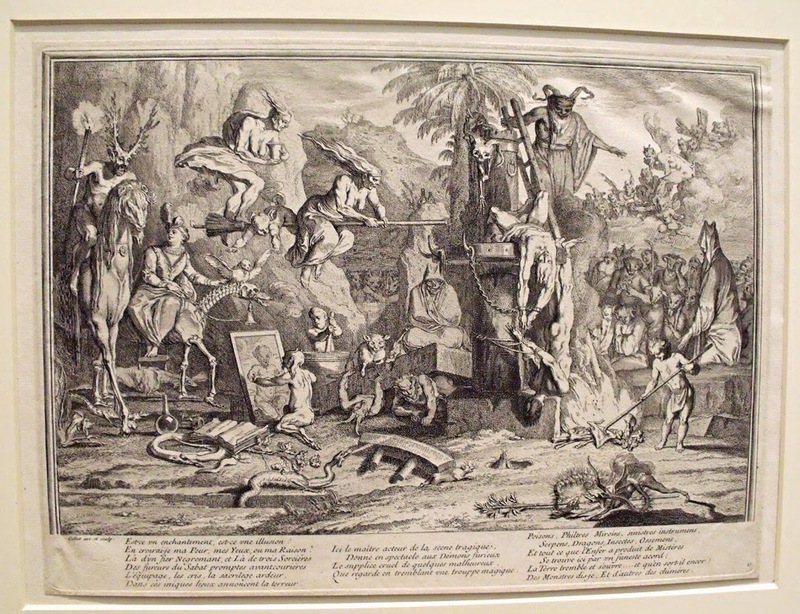 His masterwork 'Faust' (first published 1809) includes a famous witches' Sabbath held on Walpurgisnacht on top of the Brocken Mountain in the Harz Mountains where the eponymous anti-hero is lured into the arms of a naked witch by Mephistopheles. Many a young modern-day swain may feel the same lure at one of the numerous Walpurgisnacht parties that still occur across Germany on the eve of May Day. But that's as it should be; if nothing else is as authentically ancient as it seems about this Spring festival, one thing immemorial is that Spring is a time of new beginnings, new growth, and of fertility. The Hexentanz is the dance of the seasons, and long may it be celebrated for another ten thousand years.